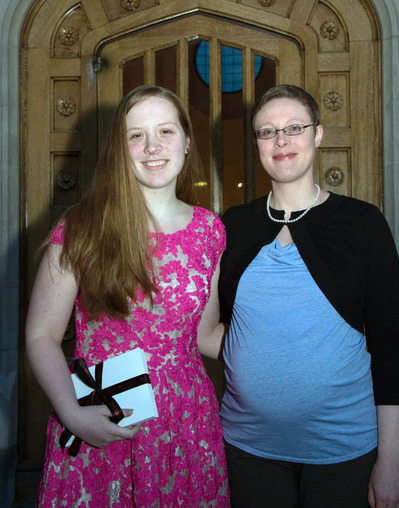 The winners of the 2013 Elmer Adler Undergraduate Book Collecting Prize were announced at the Friends of the Princeton University Library’s winter dinner on March 17, 2013. The jury awarded first and second prize. First prize went to Natasha Japanwala, Class of 2014, for the essay “Conversation Among the Ruins: Collecting Books By and About Sylvia Plath,” in which Natasha compares her inquiry into the multitude of representations of Plath to “an excavation site where I tried to unearth the narrative of Plath’s life.” Natasha received a prize of $2000 and Helen Vendler’s book Last Looks, Last Books: Stevens, Plath, Lowell, Bishop, Merrill. Second prize was awarded to Amanda Devine, Class of 2015, for the essay “A Clothes Reading: Finding Meaning in Fashion’s Past,” in which Amanda frames her collecting interest in books about the history of fashion as an interest in “the evolution of society and …what our fashions today say about us.” Amanda received a prize of $1500 and Philippe Perrot’s book Fashioning the Bourgeoisie: A History of Clothing in the Nineteenth Century. My sincere thanks to this year’s judges for their congenial service: Richard Levine, member of the Friends of the Princeton University Library; Louise Marshall, member of the Friends; John Logan, Literature Bibliographer; Paul Needham, Scheide Librarian; Rob Wegman, Associate Professor of Music; John Delaney, Curator of Historic Maps and Leader of the Manuscripts Cataloging Team, and Julie Mellby, Curator of Graphic Arts.